Yesterday, 18 October, at DiTelegraph HOQU project presented a new way to cut costs and increase marketing efficiency. This event was hosted with full support of IBCG — the largest block-chain community of Russia and Eastern Europe with Roman Kaufman as the speaker. 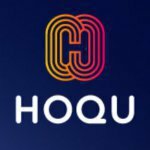 HOQU uses innovative approach to affiliate marketing which enables to cut costs and by removing intermediaries and connects merchants and affiliates together charging 0,5% from the deal. Current average fee charged by centralized platforms is 45% of the contract. Question: How does your platform interact between me and one specific blog or social media that I want to choose? Roman: The answer is that you don’t choose one specific source of leads to your project, the platform gives you possibility to place an offer to attract people to your product or service and traffic arbitrageurs will efficiently redirect potential customers to you. It is their incentive to fulfill your task accurate and with high quality. Those who fail to do so will gain no positive reputation and you will have less desire to give them your offer. This is survival of the fittest and inefficient marketing will be eliminated. Question: In case of issuing a credit card how can you catch a banker cheating on you (shaving)? Roman: This is a very good question which is frequently discussed in Russian media. Using our platform there is no possibility for an affiliate to be cheated. If a banker places an offer on our platform to sell 1,000 credit cards, then any affiliate places unique URL which will redirect any customer to special web-form which than will be filled by a potential customer. 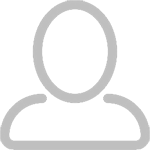 All the info about him is then transferred directly to blockchain and our smart-contract pays out the fee. This guarantees fair fulfillment of any offer. This even brought another interesting project which may revolutionize our world — SingularityNET. This project together with humanlike robot Sophia presented a new vision of Artificial Intelligence — Global Artificial Intelligence (GAI). Sophia has a very tough schedule and that is why she was only 5 days in Russia. During these days she visited Skolkovo institute of science and technology and also spoke to Russian prime-minister Dmitriy Medvedev about future and perspectives of robotics in daily life. Sophia told that she is eager to contribute only to positive assistance and leave peacefully with humans. Before the beginning meet up she had an interesting conversation with public. “She is only learning Russian for 2 days” — says CEO of SingularityNET Dr. Ben Goertzel. Sophia is just one implementation of GAI concept and all her abilities and knowledge comes from the neural network which allows her to self study and enhance social skills. Sophia is just one implimentetion of this concept and all her abilities comes from the neural network which allows her to self study and enchance social skills. After the event top managers of presented projects were available for personal Q&A sessions. This was a great possibility to know in person people who drastically change future of marketing and cybernetic industries.